Description Ghouls and Goblins, Princess and Knights, all are welcome to walk downtown The Dalles and gather up fun and candy from the local business. All while enjoying the sight of other trick-or-treaters creativity. 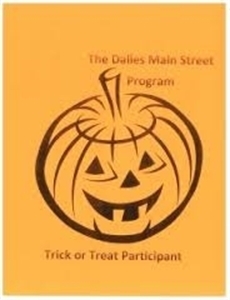 Add Downtown Safe Trick of Treat to your free online travel itinerary.